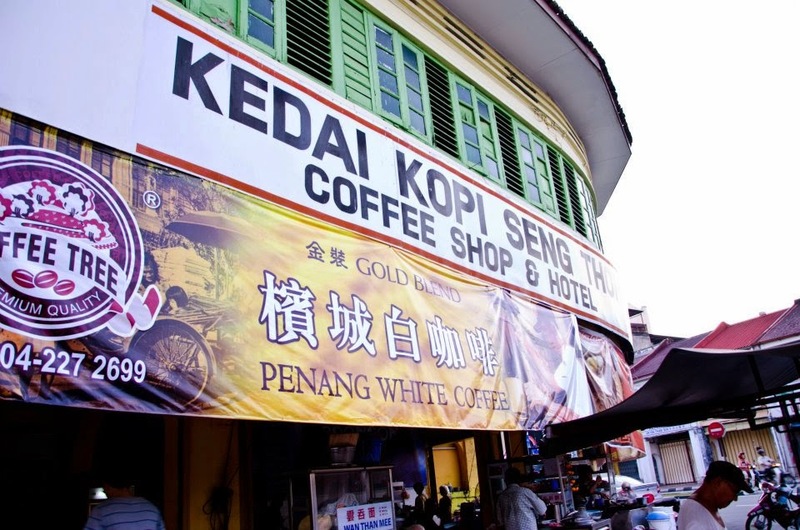 Kedai Kopi Seng Thor located at Kimberley Street serve a good Koay Teow Theng, it is an instant cook type. 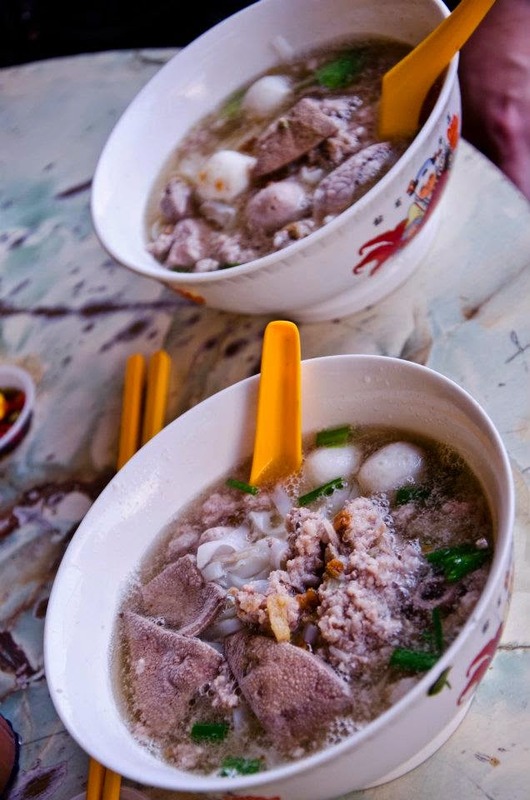 Koay Teow Theng is a popular Penang hawker food of flat rice noodles cooked in clear soup and topped with slices of pork meat, minced pork, pork innards and fish balls. 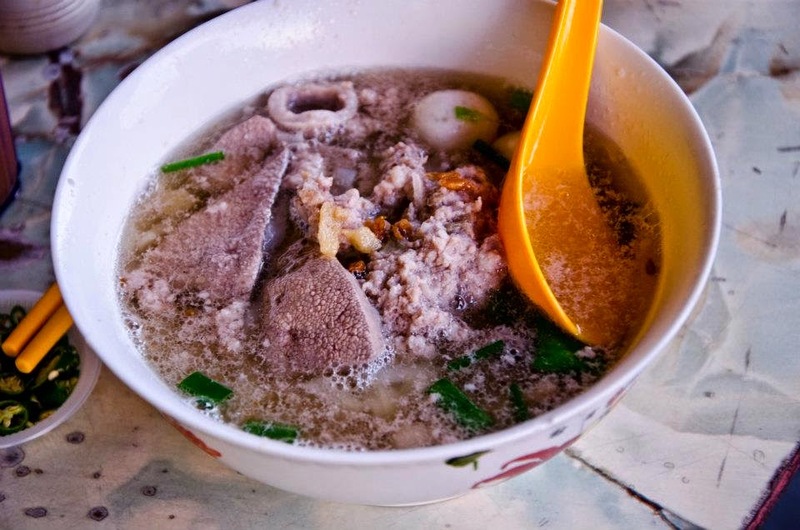 This is garnished with garlic bits, fried pork fat and scallions. 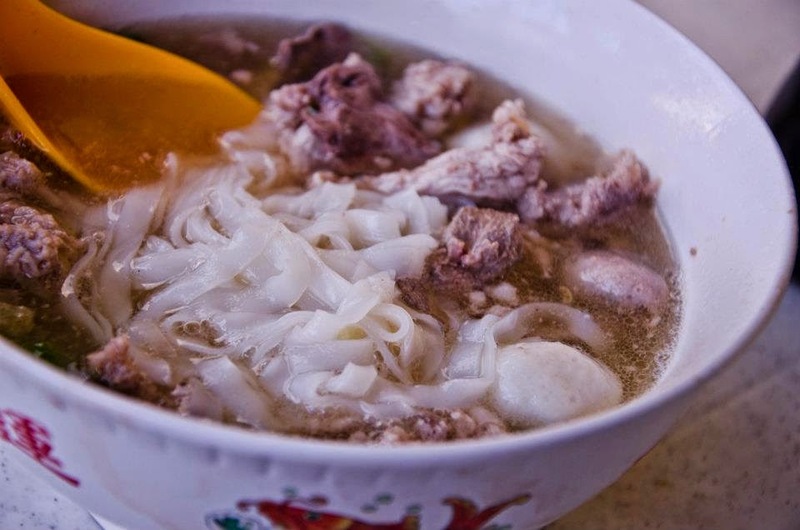 Koay Teow Theng is usually served with a condiment of sliced chilli in soy sauce, either the big, red chilli or the hotter small green chilli. 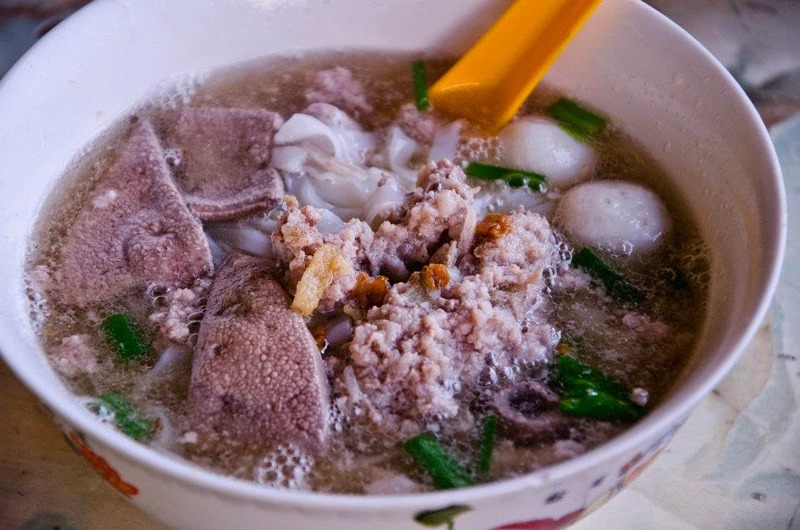 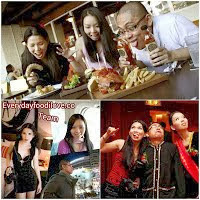 Flat Rice Noodle with Pork Soup served with loads of pork innards, minced pork, fish ball and meat ball. Soup was light and tasty.